As a team, the Bobcats finished in second place with a time of 2:18:34, missing first place by only 3 points, with their total team time trailing just four seconds behind Haskell Indian Nations University. Crowley's Ridge College, Northern New Mexico College, and Indiana University Northwest took 2nd through 5th place respectively. Lady Cats Holder, Marteney, Edgar, and Duncan, alongside Bobcats Baumer, York, and Pierce were named All-Conference First Team, Lady Cats Murrell and Britt were named Second-Team All-Conference. York and Murrell were both awarded as A.I.I. Champions of Character. 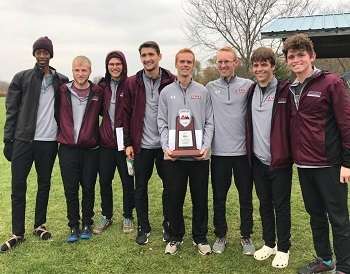 Next week, College of the Ozarks will host and participate in the NCCAA Men’s and Women’s Cross Country National Championships on the campus at Point Lookout, Mo. Men will race at 10:00 a.m. and the women will race at 11:00 a.m. 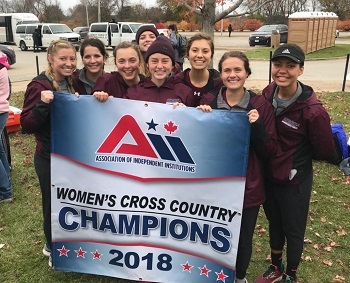 The following week, the Lady Bobcats' team, along with Bobcats Baumer, York, Pierce, and Moore, will advance to the NAIA National Championships in Cedar Rapids, Iowa.